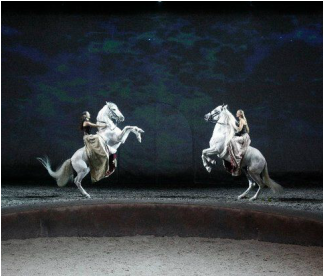 The performance is a celebration of the horse and highlights their mysterious allure and grace, power, and speed. A total of 52 highly trained horses and eleven different breeds (from Canada, France, Spain, Portugal, and the U.S.) cavort with each other and a swarm of acrobats, dancers, and aerialists. The 160-foot wide arena allows for unbridled galloping and horseplay, and the intricate maneuvers are often breathtaking. Think: cutting and reigning horses performing at full speed amidst troupes of ballet dancers and cavorting cheerleaders. The whimsical, athletic spirit of Cirque du Soleil is clearly on display. ...though the term “hobby” may connote dilettantism, that’s a misconception. Unless you inherited your farm or ranch or are independently wealthy, you likely keep a day job or two to pay the mortgage and expenses. 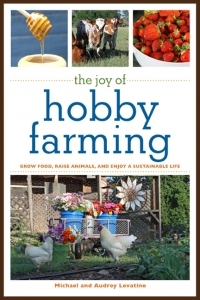 Any farm, therefore, becomes a hobby—but a hobby that pays in food and happiness.